Tom Nichols joins host Charlie Sykes to discuss the burning of Notre Dame, the forthcoming Mueller Report, and how Bill Weld factors into the 2020 elections. Sarah Longwell and Jonathan V. Last join Charlie Sykes to discuss their recent stories about Bernie Sanders and the 2020 Democratic field. Can he actually win it all? Tim Miller joins host Charlie Sykes to discuss his recent story on the Joe Biden kabuki theatre, Episcopalians and the presidency, Bill Barr and the Mueller report, and the rationing of contempt. 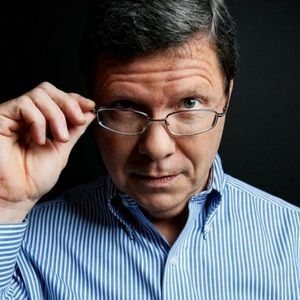 Major Garrett joins host Charlie Sykes to discuss his new book about the Trump presidency (Mr. Trump's Wild Ride), his experience as a journalist, and the the trouble with cable news. Linda Chavez joins host Charlie Sykes to discuss the departure of Kirstjen Nielsen, her legacy at DHS, and a look at some of the potential replacements. Susan Page joins host Charlie Sykes to discuss her brand new book "The Matriarch: Barbara Bush and the Making of an American Dynasty." 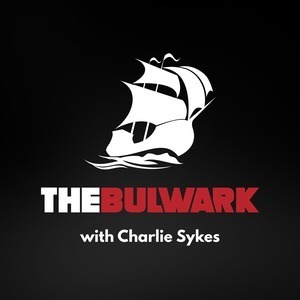 On today's Bulwark podcast, Catherine Rampell from the Washington Post joins host Charlie Sykes to discuss the potential nomination of Steven Moore by President Trump to serve on the board of the Federal Reserve Bank.